DynaMatrix 50 lbs. RJ Polymeric Sand for Regular Pavement Joint is a dry mixture of calibrated sands, polymers, binders and dedicated chemical controlling agents specifically designed to bind firmly and easily together in horizontal pavement joints. Applied dry into the pavement joints, it will harden and stay in place after being wet. Carefully blended with a higher content of polymers and dedicated control agents than any other comparable, the quality of Dynamatrix RJ Polymeric Jointing Sand ensures increased stability, performance and lasting durability to your paver projects. 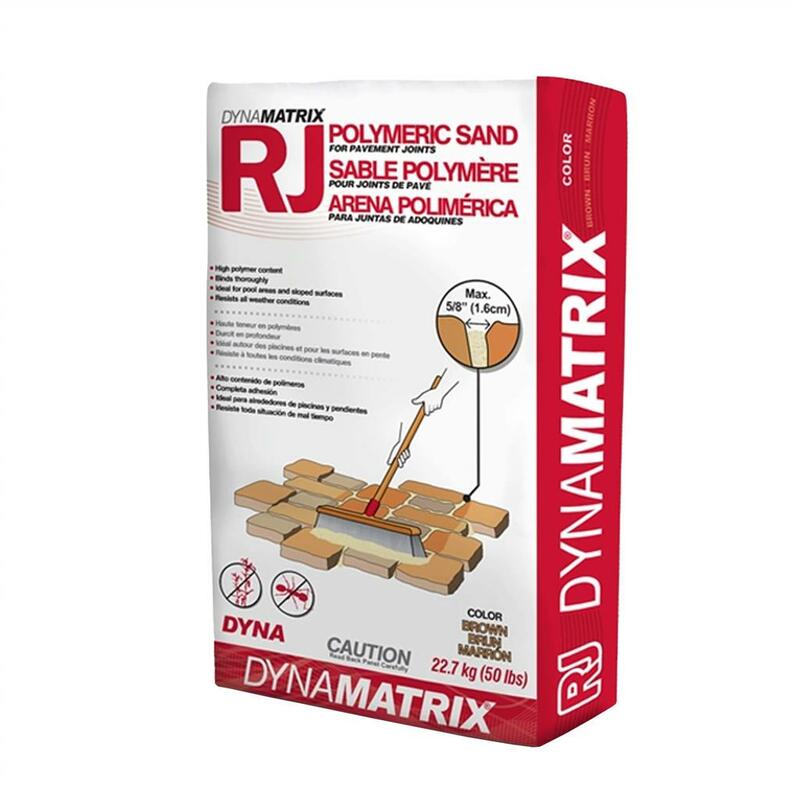 Developed by a team of experts in chemistry and in the paver industry, Dynamatrix RJ Polymeric Jointing Sand retains the adequate elasticity needed to adapt to the movements of the pavement surface. It will resist erosion due to weather, maintenance and traffic.